This years Irish Poker Championship is to take place from the 4th of January at the four star hotel in Citywest located in Dublin. This year's event boasts the biggest prize pool to date with an estimated first prize of €200,000 from a prize pool of €500,000. 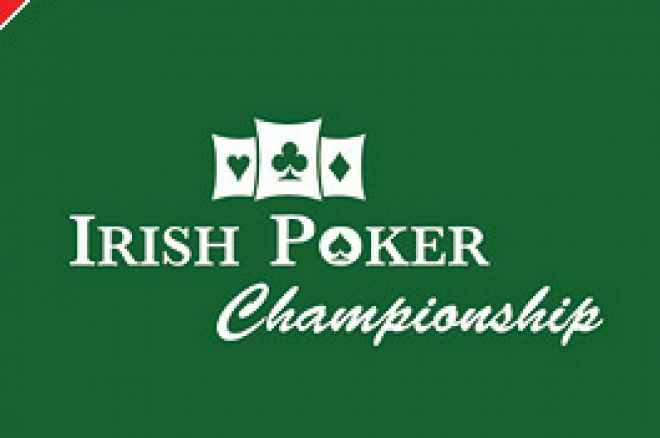 The Championship comprises a series of events nationwide, along with satellites throughout the UK and Europe which will culminate in the Irish Poker Finals - a 3 day event with a buy-in at €1500 at the Citywest Hotel. In addition to the main event, there will be two buy-ins of €500 and €750. These events will produce prize pools of €120,000 and €150,000 respectively. Players from all over Ireland will have a chance to battle against some of poker's biggest names along with playing besides some of Europe's top celebrities. Directing proceedings will be Donal MacAonghusa along with Mags Manton, two of Europe's finest. Speaking from his Galway home, Donal commented "last year was Europe's biggest tournament, in terms of the number of runners, we expect record numbers again this year." The European Lifestyle show will be running alongside the Championship event. Players and poker fans can see, first hand, providers show off their products. It also gives players a unique opportunity to speak directly with representatives from the largest on-line companies in the world. Event promoter Fintan Gavin said, "I am confident that this years Irish Poker Championship will surpass last years event in regards to the prize pool. This will be one of the biggest poker tournaments ever staged in Europe. With the addition of our new pub tournament poker league more new people have become involved in tournament poker and this can be only good for the game. City West Hotel as a venue is magnificent, there should be a great buzz with the show and the tournaments running side by side." Ed note: Download Poker.com and win yourself a seat at the Aussie Millions FOR FREE!